The Major Arcana follows traditional titles, with Justice at VIII and Strength at XI. The suits are named Scepters, Grails, Knives and Skulls. The Courts are titled Lord, Queen, Prince and Daughter. The cards measure 2 3/4" x 4 5/8" and feature backs which aren't exact reversible, but enough so that it's difficult to tell at a glance which side is up. The cards are bordered on three sides with black. The titles on the bottom are surrounded by vines. 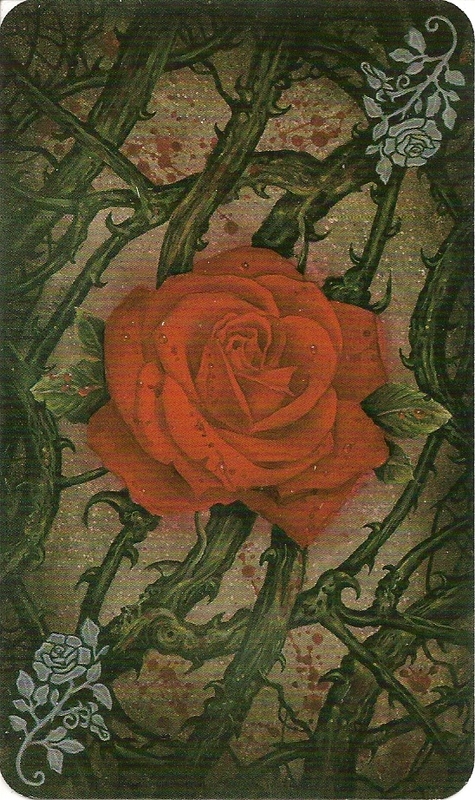 At the bottom of the card is listed the card title for the Major Arcana (the Majors are unnumbered), the number and suit for the Pips, and the title and suit for the Court Cards. 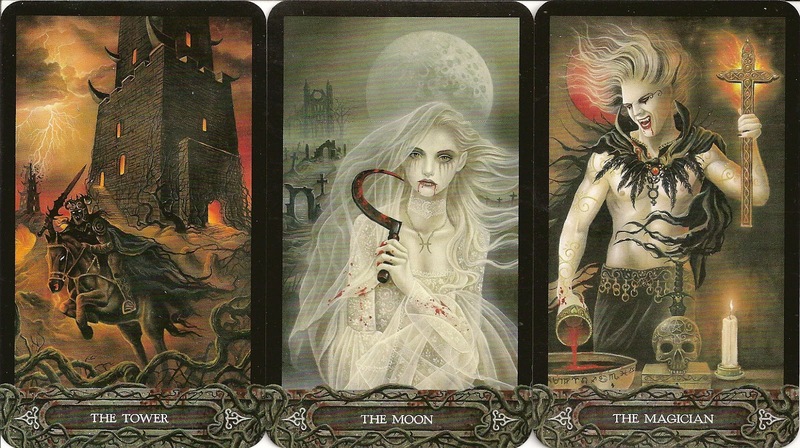 The cards also feature the astrological signs related to them. These are explained in the accompanying book, along with details on how the cards relate to Qabala and the Tree of Life. The colors of Major Arcana are related to the zodiacal, astrological, or planetary color symbolism following traditional Golden Dawn correspondences. The title of the companion book "Phantasmagoria" comes from stage magician Etienne-Gaspard Robert. He was a master of theatrical production, and the term "phantasmagoria" represented a magic lantern show with silhouetted puppets used to act out macabre drama. The book is not illustrated; it is all text.